The album couples bossa nova’s classic fusion of samba and jazz with Thievery Corporation’s mastery of intricate and expansive audio soundscapes. And while the rest of the EDM community continues to move towards colder, austere tones, the sound of Sausade is definitively warm and inviting, with a vintage and timeless feel. “Depth Of My Soul” perfectly encapsulates this aesthetic. Featuring a haunting vocal performance from former Bitter:Sweet singer Shana Halligan, the song glides on sweeping strings and twinkling piano keys, creating a hypnotic backdrop for Halligan’s tale of life’s impermanence and the secrets she keeps that no one will ever know. 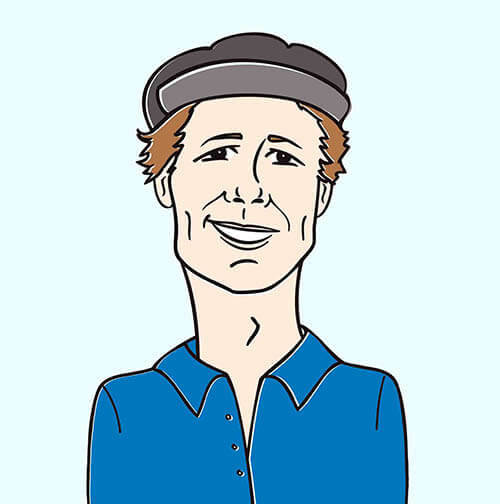 The natural cinematic quality of the music, however, is increased ten-fold by its widescreen video directed by Ivan Landau who has previously worked with Beats Antique and Sigur Rós. Filmed in the rich wilderness of New Mexico’s Quinlan Ranch, the song’s breathtaking clip begins with a beautiful woman dressed in a long white dress standing with a black horse. In the distance, she gazes upon a range of snow-capped mountains. Putting on a fur cloak and hat, she mounts her horse and rides until she finds a man kneeling and frozen to death. She approaches him, and a flashback illuminates their former connection, the two dancing closely and tenderly touching. She grazes his frozen cheek with her gloved hand before riding onward. Finding another frozen man, a second flashback depicts a strained relationship, as the two argue at a table. She slows down but doesn’t bother to come down from her horse. Heavy snow comes down through the trees, as she rides deep into the woods. Finally, she comes upon an isolated cabin. Inside, a line of candles are burning low on the windowsill, and a mysterious figure–cloaked in black from head to toe–kneels on the cabin floor amongst candles and an elk’s skull and antlers. The rider silently approaches, and the figure in black extends its cloaked arms like the wings of a demon, inviting her inside. The video ends with the beautiful rider curling up in its arms, as the unsettling scene fades to black, leaving the viewing with lingering questions and a strong urge to watch and listen again. 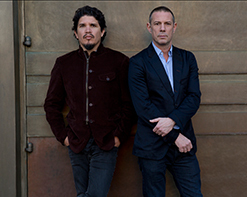 For more information on Thievery Corporation, their new album Sausade, or their stunning new video, please contact Andy Gesner and the HIP Video Promo staff at (732) 613-1779 or email at info@HIPVideoPromo.com . You can also visit www.thieverycorporation.com for more info.